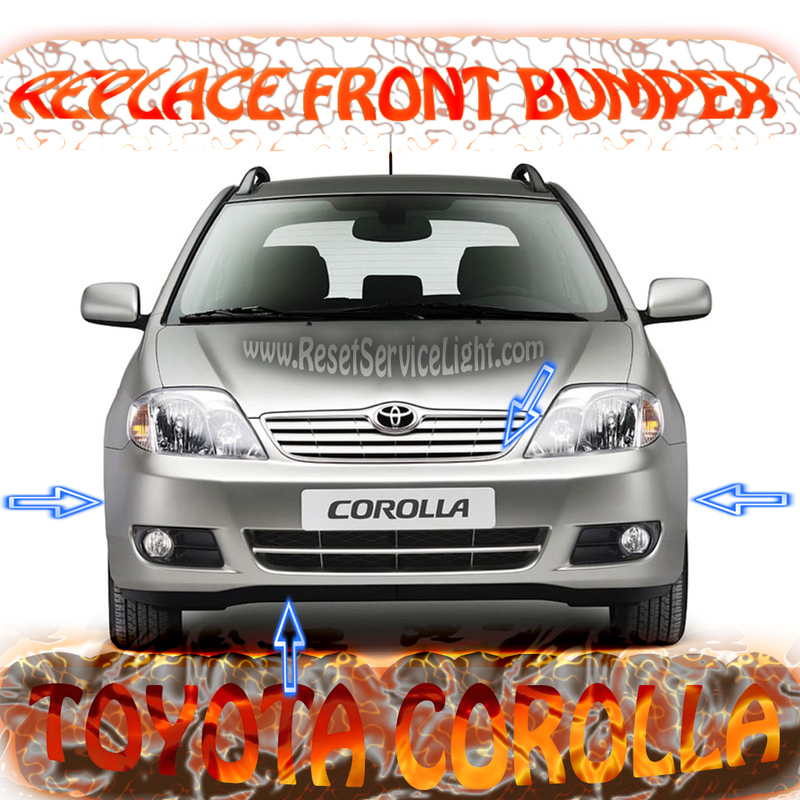 DIY, remove the the front bumper of your Toyota Corolla made between the years 2003 and 2008. For that you will need a flat headed screwdriver, a Phillips screwdriver and a 10 mm socket wrench. The repair process should not take you more than 20 minutes, if you do not encounter problems on the way with damaged screws or other issues. You might wanna do this particular repair if you need to change the headlights, the fog lights or the windshield washer bottle. The first thing you have to do is to remove the bolts and the clips that hold the bumper. There are 13 holding pieces on this car: two Phillips screws (marked with the yellow arrow in the next image) located in the front of the wheels, eight 10 mm bolts (see the red arrows below) and three plastic clips on the middle of the bumper (marked next in blue arrows). We indicated you in the next image, only the fasteners on the right side of the front bumper, but you will find them, obviously, on both sides. After you remove all the screws and clips, you can take the piece out, by pulling from the extremities (near the wheels). 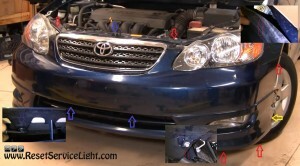 If you have functional (connected) fog lights, the bumper will not come out until you disconnect the harnesses (indicated below). At the end, install carefully everything back as it should, reversing the above procedure. 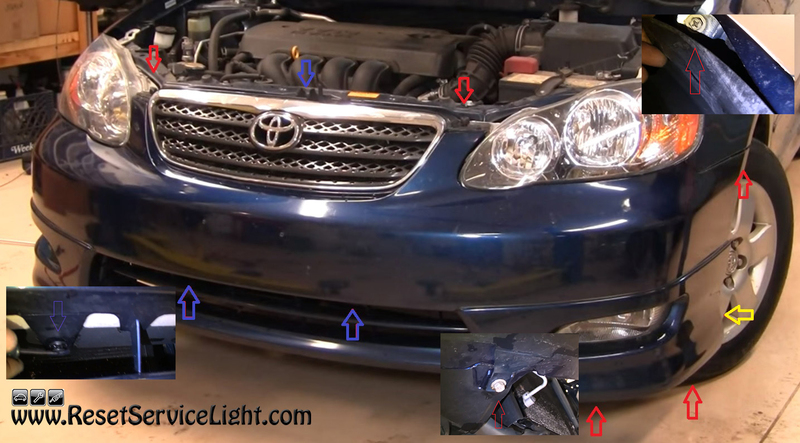 This is everything you need to know, if you wish to remove the front bumper on your Toyota Corolla made between 2003 and 2008.